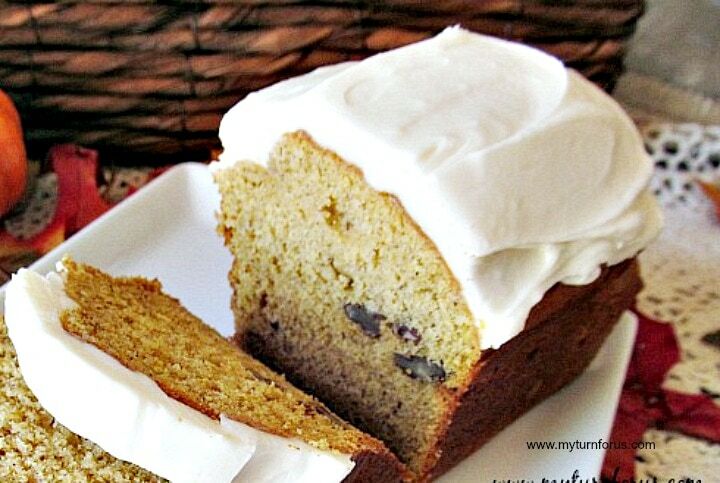 This Pumpkin Bread with Cream Cheese Frosting is not overly sweet so the frosting compliments it perfectly. 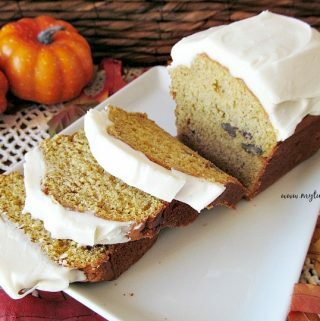 This is a simple pumpkin bread recipe made with pumpkin puree and pumpkin spice and makes a flavorful pumpkin nut bread. 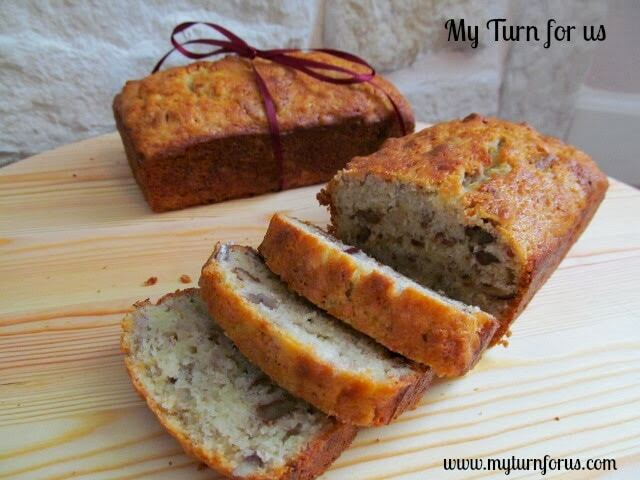 The hubby loves all sweetbreads and this time of the year, he would feel cheated if he didn’t have a loaf of this Pumpkin Nut Bread. Last week we cooked all our pumpkins and jack o’ lanterns so we have a freezer loaded with fresh pumpkin puree (which is absolutely amazing). To see how we cook our pumpkins click here. Now I have plenty of pumpkin puree for my pumpkin pies for Thanksgiving and Christmas and of course, for several loaves of this simple Pumpkin Bread and other holiday treats. 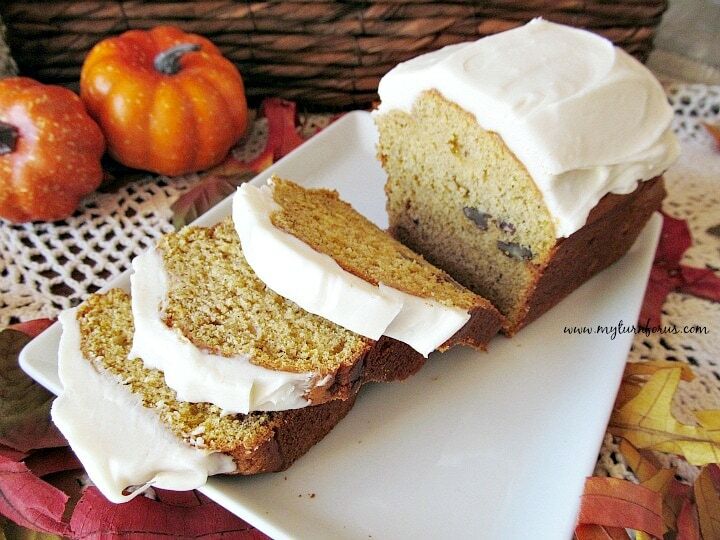 This Pumpkin Nut Bread could be served with or without the frosting, either way, it is delicious with coffee, latte or rich hot tea. In another large mixing bowl beat the brown sugar with the shortening till well combined, beat in eggs. 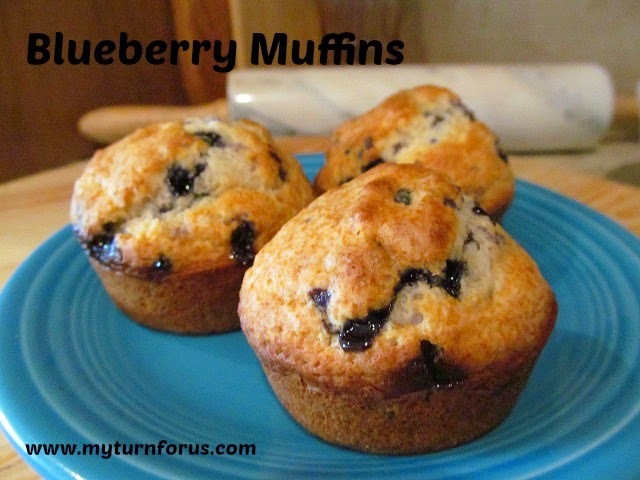 Pour into prepared loaf pan and bake for 55-60 minutes until a wooden pick inserted near center comes out clean.